Morris Builders, LLC > Team Members > Management > JIMMY MORRIS, JR.
Jimmy Morris, Jr. is the Owner/Managing Member of Morris Builders LLC, in Prattville, Alabama. He earned a Bachelor of Arts in Music with a Minor in Education from Alabama State University. He also earned an MBA with a concentration in Project Management from Columbia Southern University. He serves on the Advisory Board for the Prattville Baptist Hospital, a Certified Hospital Trustee for the Alabama Hospital Association, and as a board member of the Autauga & Chilton Counties Habitat for Humanity, and the Autauga County Family Support Center. 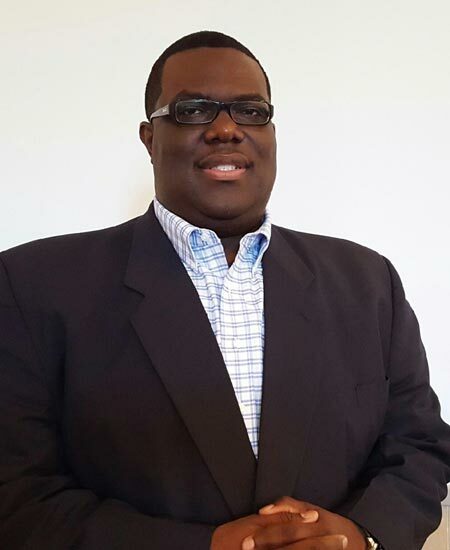 Additionally, he serves as a member of the Prattville Area Chamber of Commerce (the Small Business & Economic Development Committee); member of Leadership Autauga, U.S. Small Business Administration Emerging Leaders of Alabama. He is also listed in the 2008 edition of the Who’s Who Among American Colleges & Universities and is a member of the National Society of Leadership and Success. Some of Jimmy’s professional organizations he’s affiliated with include the DBE Association of Alabama, Alabama Road Builders Association, Alabama Subcontractors Association, the Associated Builders & Contractors Association, the Montgomery Chamber of Commerce, Atlanta Business League and the Greater Atlanta Economic Alliance and he is a member of Alpha Phi Alpha Fraternity, Inc.